BLOOMFIELD, Michigan – Reverie, the sleep technology company based here, intends to expand into the Canadian market next year as part of a larger plan to grow its international footprint. 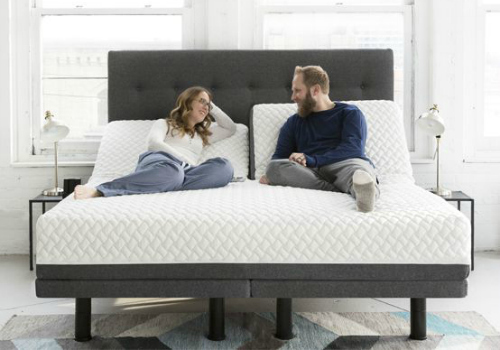 In a statement, the company said its Dream Cell mattresses and adjustable bases are currently available in 11 countries outside of the United States through a series of strategic partnerships and distributors. Reverie products are currently sold in Australia, Iceland, Panama, China, Mexico, South Korea, Russia, Saudi Arabia, Taiwan, Kuwait and Columbia. The countries targeted in 2019 include Canada, Brazil, India, Ireland, Portugal and Thailand. As an example, he pointed to the company’s distributor in South Korea, which has made significant investments in local marketing, advertising and social media under the moniker Reverie Korea to build the business. The entity is pushing Reverie products throughout the country by working with leading retailers to create Reverie-branded pop-up stores within the stores. In Panama, Reverie has partnered with Kennedy Home Stores, a 30-year-old retailer with reach throughout Central America and the Caribbean, to sell three leading adjustable bases. Reverie’s international rollout is supported by its product design team, which reengineers it assortment to meet the custom needs of each market. Because mattress sizes are not standard throughout the world, Reverie’s product line-up must be reconfigured for each international market. The company exhibits at the Las Vegas Market in space B925 of the World Market Center.